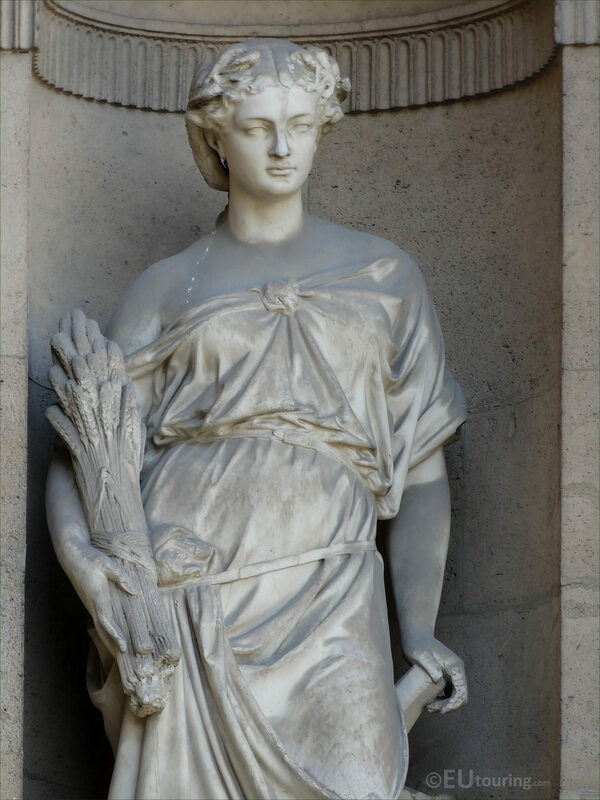 Again we were at the Musee du Louvre in the 1st Arrondissement of Paris, when we took these high definition photos showing a statue called Agriculture, which was sculpted by Jean Louis Schroeder. 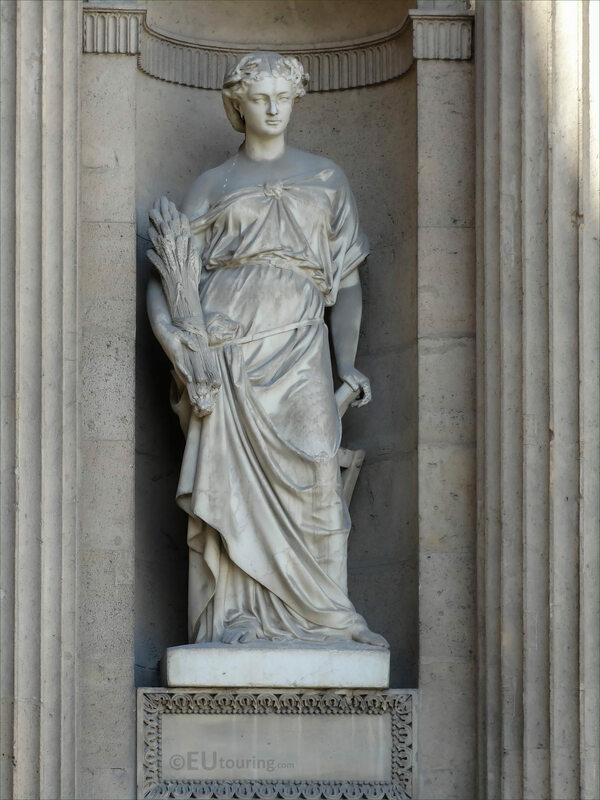 This first HD photo shows a statue called Agriculture, which was produced in marble back in 1879 as an allegory with a female figure holding a sheaf of wheat or corn in order to depict the agricultural industry. 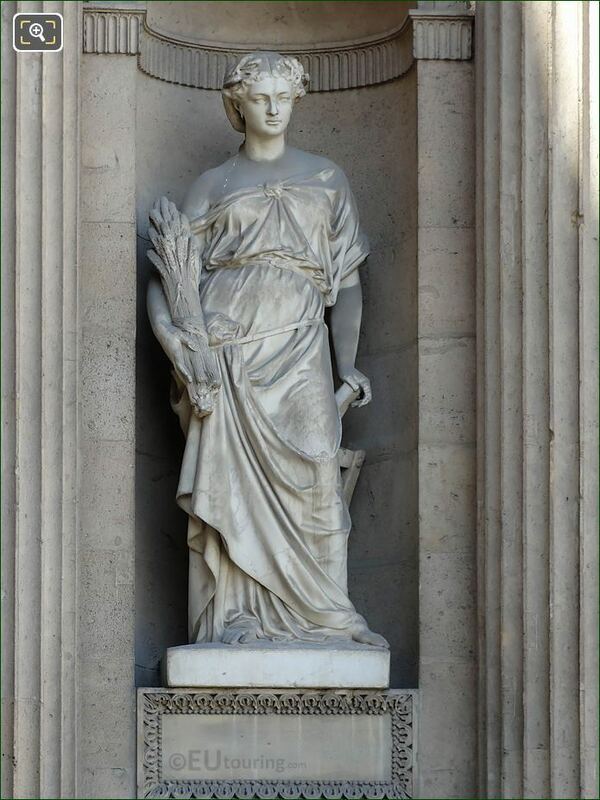 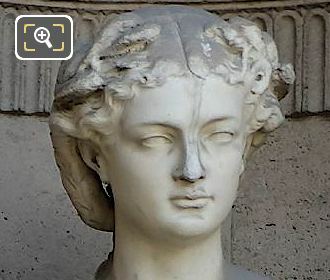 Now here you can see a close up photo of the Agriculture statue, which was produced by Jean Louis Schroeder, who was born in Paris in 1828 and studied under Francois Rude to become a French sculptor. Jean Louis Schroeder received many commissions including several for the former Palais du Louvre, plus others for tourist attractions such as the Hotel de Ville, many churches like Saint Eustache along with busts and portrait statues, still presenting works at the Salons right up until a year before passing away in 1898. 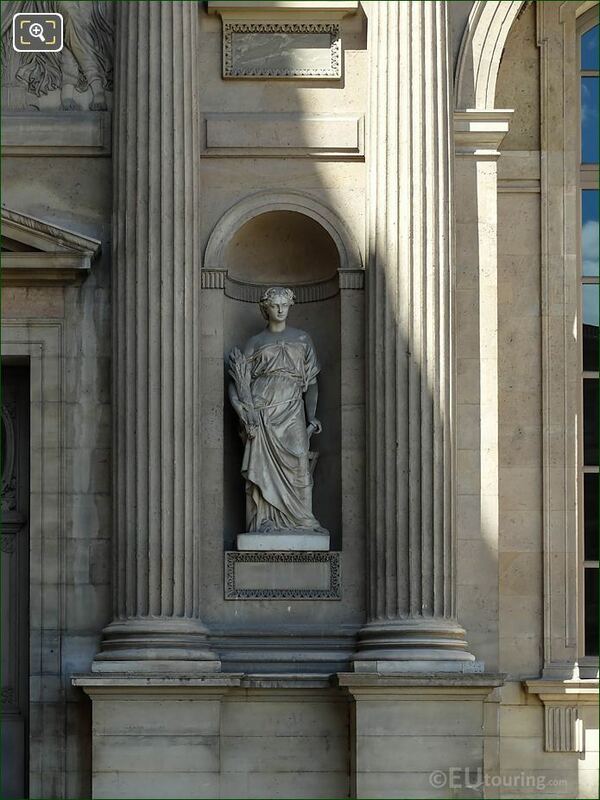 But here you can see the location of the Agriculture statue positioned within a niche on the first level of the Aile Nord southern facade, and when you are looking at this facade of the Louvre Museum from the courtyard called the Cour Carree, you will find this located second from the left hand side.